I do worry that the current state of Section 101 in patentable subject matter weakens the robustness of our IP system in the affected areas. And if industry cannot predict in a relatively reliable way whether their investments will be protected from an intellectual property point of view I think that will result in less investment, less growth, fewer jobs created in the affected industries. So I do think it is critically important for our economy. And again whatever industry we’re talking about and whatever industry we want to grow it’s critically important to have a strong reliable and predictable intellectual property system. the Supreme Court has written for us in § 101 cases. attention beyond the power of this court. Well respected commentators have been even more explicit in laying the blame for the weakened United States patent system at the feet of the Supreme Court. As an inventor, I have frequently spoken on the subject of innovation. One point I have repeatedly made is that it would be far better to have bad rules than to be unsure of what the rules are. Given the current state of confusion about which inventions are patent-eligible, it would be hard for even the most dysfunctional Congress to worsen the situation. 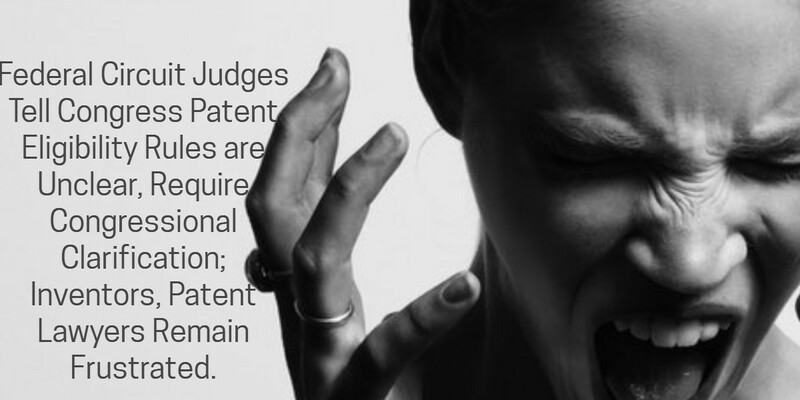 The alarming uncertainty in the U.S. patent system seems to finally be getting the attention it badly needs. While we await Congressional action that may or may not come, it is all the more critical that inventors turn to experienced patent lawyers capable of laying out the pros, cons, and unknowns about inventions.